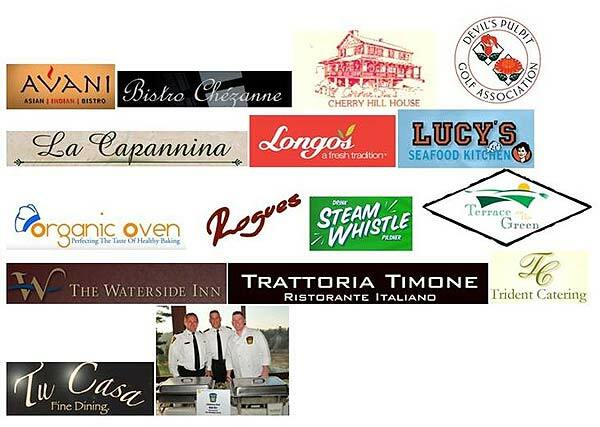 Celebrity Chef Challenge www.vsopchefchallenge.org will feature the discerning taste buds of Celebrity judges, in marathon competition… over 25 food stations in all…in support of Victim Services of Peel. 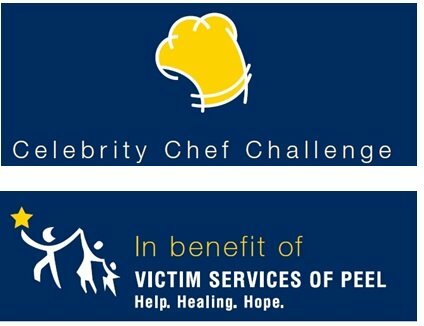 Win one of 3 pairs of tickets ($250.00 per pair) to the Celebrity Chef Challenge for the Victim Services of Peel being held on Thursday April 5th,at the Red Rose Convention Centre in Mississauga. Winners to be picked at random on April 1st, 2012 from all entries. The winners to be posted at noon that same day on The Wine Ladies Fan Page. Coming up April 5th, 2012 in the city of Mississauga, the 6th annual Celebrity Chef Challenge taking place featuring over 25 fabulous local restaurants and food purveyors in a fierce competition all vying for top marks from a discerning panel of judges (of which The Wine Ladies are too) An incredible evening of dining, wine and entertainment dedicated to giving victims of crime and tragedy in Brampton and Mississauga the help, healing and hope they need. 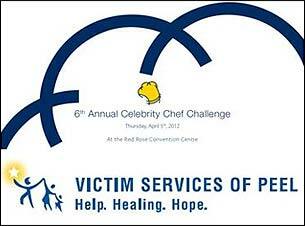 Includes a live auction with big ticket prizes, door prizes, local celebrities and stellar entertainment. So be sure to attend the best ever roving cocktail and food party of the season! On our show this week to tell us all about it we welcome Phil Lynn, Representative for the Victim Services of Peel Board of Directors, Gay Longo, Cabinet Chair Fundraising Victim Services of Peel and Constable Greg D’Andrea, Cabinet Member Victim Services of Peel, Peel Regional Police. Enter The Wine Ladies FaceBook Fan page contest to win one of 3 sets of tickets to the event too. Valued at $250.00 per pair! What has become the “must attend affair of the year” known as the best roving cocktail and food party ever attended, The Celebrity Chef Challenge, now in its 6th year will be a stupendous culinary adventure in both food and wine, with renowned chefs and restaurants vying for top marks for their creations. A collection of keen and discriminating judges will make the rounds, sampling, savouring and “spitting” (wines in the provided spittoons of course) recording their comments both in pencil and audibly to be sure. Mingle with the judges, meet the chefs, embrace the culinary treats all the while being entertained in a luxurious, yet relaxed and casual…and fun atmosphere. Be sure to look for your favorite restaurant or specialty food purveyor as listed below, or perhaps you see a Chef or a restaurant you’ve been meaning to visit? Here’s the perfect opportunity. https://www.thewineladies.com/wp-content/uploads/2012/03/image001.jpg 226 305 Susanne Seelig-Mense https://www.thewineladies.com/wp-content/uploads/2017/08/WineLadiesLogoTransparent.png Susanne Seelig-Mense2012-03-29 16:39:382012-03-29 16:39:38Celebrity Chef Challenge www.vsopchefchallenge.org will feature the discerning taste buds of Celebrity judges, in marathon competition... over 25 food stations in all...in support of Victim Services of Peel. The Wine Ladies WIN Entrepreneur of the Year! 17th OABE Awards. The Wine Ladies WIN Entrepreneur of the Year! 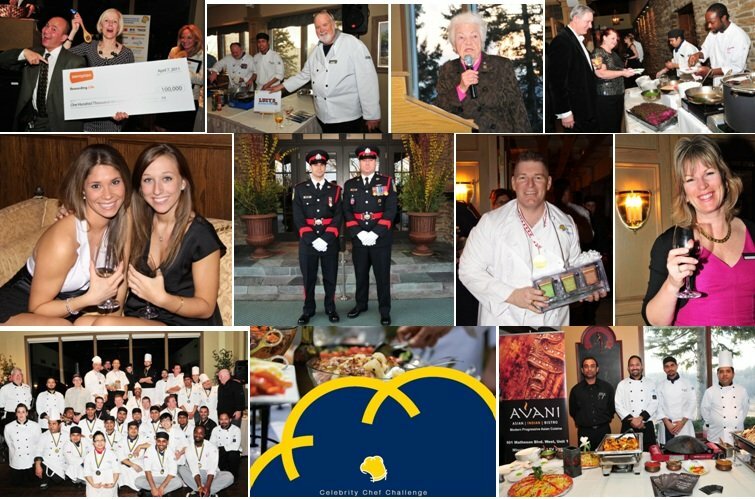 17th annual Oakville Awards For Business Excellence. https://www.thewineladies.com/wp-content/uploads/2012/03/entrepreneur_of_the_yearpic14_2011.jpg 919 1159 Susanne Seelig-Mense https://www.thewineladies.com/wp-content/uploads/2017/08/WineLadiesLogoTransparent.png Susanne Seelig-Mense2012-03-25 15:14:012012-03-25 15:14:01The Wine Ladies WIN Entrepreneur of the Year! 17th OABE Awards. Win tickets to the Tequila and More Show here! 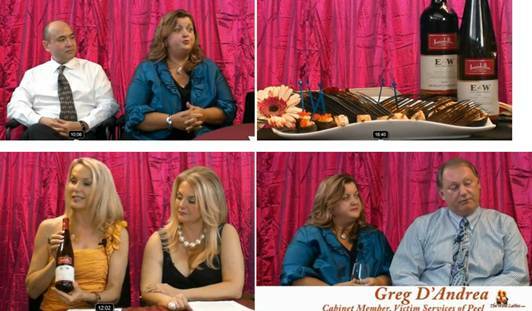 The Wine Ladies Video Podcast. On our show this week we welcome the founders of the Tequila and More Show. 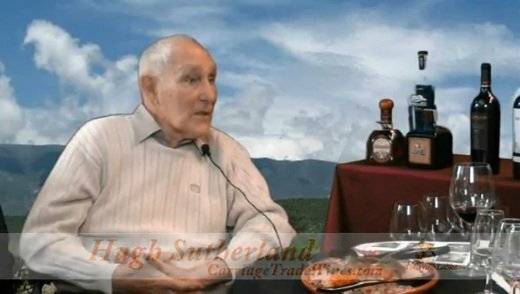 On our show this week we welcome the founders of the Tequila and More Show. Allan Fryman and Anna Kozina who will be our guide to getting to know the wonders of tequila, and what makes this spirit so special! 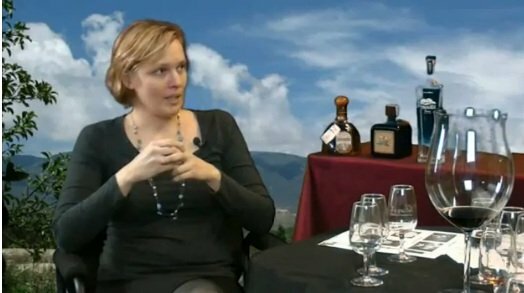 Anna Kozina, founder Tequila and More Show. We’ll explore and sample wines from Latin America including Chile, Argentina and Uruguay, beautiful wines, terrific value and unique, with Hugh Sutherland founder of Carriage Trade Wines and Spirits. And finally Maria Barrios-Abalos, Aztec Goddess of Maize, founder of Xilonen. For the Discriminating Fiesta Lover, a full catering enterprise will treat us to a few specialities from her homeland of Mexico. A remarkable lady, charismatic talented and with a good soul! Be sure to join us tequila and more, superb wines and delectable and unique fare, all to tantalize our palates! Win one of 5 pairs of tickets ($60.00 per pair) to the Tequila and More Show being held on Sunday, May 4th-5th? Answer this question.. What is the significance of the worm found in Mezcal?a.It makes it taste better. Winners to be picked at random on March 30th, 2012 from all entries. The winners to be posted at noon that same day on The Wine Ladies Fan Page. The Tequila and More Show where the magic and myths of Tequila is celebrated. In all its glory, from its earliest days to the present. We will explore the different kinds of Tequila, how it’s made, how to best enjoy it, we will dispel the myths and learn finally the significance of the worm! The Tequila and More show http://tequilaandmore.com does this, and more! Where the sensuous wines of Latin America will please our palates, while the mouth watering dishes of Latin America and the Caribbean will tantalite our palates. Super mixologist Junior Melino @TheLiquidChef world renown, will shake up a mean cocktail, and dancers and musicians will entertain us! https://www.thewineladies.com/wp-content/uploads/2012/03/tequilaamdmorelogo.jpg 145 262 Susanne Seelig-Mense https://www.thewineladies.com/wp-content/uploads/2017/08/WineLadiesLogoTransparent.png Susanne Seelig-Mense2012-03-24 14:09:242018-03-29 13:56:10Win tickets to the Tequila and More Show here! The Wine Ladies Video Podcast. Austria Uncorked, The Austrian Wine Event of the Year. Get your Gruv-on! Tickets are $59.00 for general admission, $54.00 here with The Wine Ladies. Small is beautiful – that is what best describes Austrian wine, when put into international perspective? There are no run of the mill wines, but rather they are a rare specialty. Austrian wine is one of the most exciting phenomena happening in the world of wine right now. 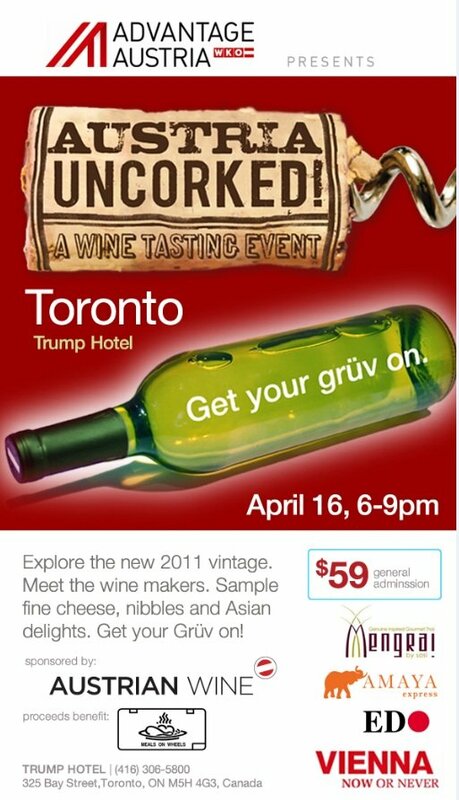 For the first time ever Austria Uncorked has made the decision to travel North and chose the exciting newly opened Trump Hotel in Toronto, the perfect setting for wine lovers to meet and taste the excellent vintages of 30 wine makers from the famous wine growing regions of Lower Austria (Wachau, Kamptal, Kremstal, Traisental, Weinviertel, the hot spring region Tattendorf), the Burgenland (Neusiedlersee, Carnuntum), the south part of Styria (also referred to as the Styrian Tuscany) and Vienna. https://www.thewineladies.com/wp-content/uploads/2012/03/austriauncorked.jpg 57 426 Susanne Seelig-Mense https://www.thewineladies.com/wp-content/uploads/2017/08/WineLadiesLogoTransparent.png Susanne Seelig-Mense2012-03-23 15:13:082012-03-23 15:13:08Austria Uncorked, The Austrian Wine Event of the Year. Get your Gruv-on! The Tequila and More Show where the magic and myths of Tequila is celebrated, in all its glory, from its earliest days to the present. We will explore the different kinds of Tequila, how it’s made, how to best enjoy it, we will dispel the myths and learn finally the significance of the worm! The Tequila and More show http://tequilaandmore.com does this, and more! An addition to the show this year The Liquid Latin Show, where the sensuous wines of Latin America will please our palates, while the mouth watering dishes of Latin America and the Caribbean will tantalite our palates. Super mixologist Junior Melino @TheLiquidChef world renown, will shake up a mean cocktail, and dancers and musicians will entertain us! Win one of 5 pairs of tickets ($60.00 per pair) to the Tequila and More Show http://tequilaandmore.com being held on Sunday, May 4th-5th? 2. Answer this question.. What is the significance of the worm found in Mezcal? a. It makes it taste better. 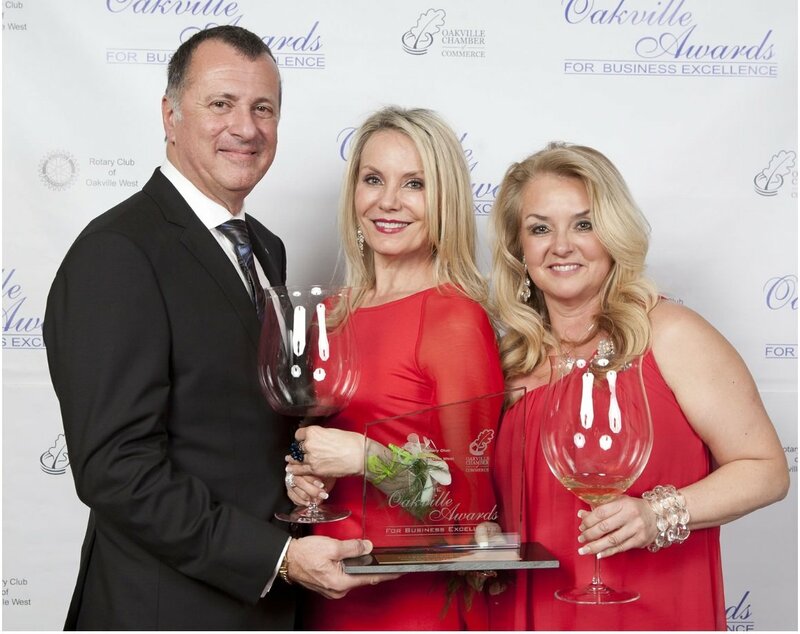 2012 Cuvée Winners – Ontario wine industry sparkles at the ‘Oscars’ style 24th Annual Gala and Awards. Who knows local wine better than the people who make it? Just like the Oscars of the entertainment world, the Cuvée Awards of the Ontario wine industry is peer-judged .Earlier this year 51 Ontario winemakers gathered for a blind tasting and judging of a record number of wines. In total 12,000 wine glasses, over 1000 bottles of wine, and 63 wineries submitted 264 wines that they thought were the best in their line-ups. The tasting is blind and the only information that the judge is given is the name of the varietal or blend and vintage of the wine. Last night the Ontario wine industry put away their rubber boots and overalls and donned their finest for the red carpet awards and gala at the Fallsview Casino in Niagara Falls for the 24th annual Cuvée Gala and Awards. A total of 26 awards were given out in a special Oscar style ceremony. https://www.thewineladies.com/wp-content/uploads/2012/03/cuvee2012.jpg 319 870 Susanne Seelig-Mense https://www.thewineladies.com/wp-content/uploads/2017/08/WineLadiesLogoTransparent.png Susanne Seelig-Mense2012-03-03 22:56:462012-03-03 22:56:462012 Cuvée Winners - Ontario wine industry sparkles at the ‘Oscars’ style 24th Annual Gala and Awards.